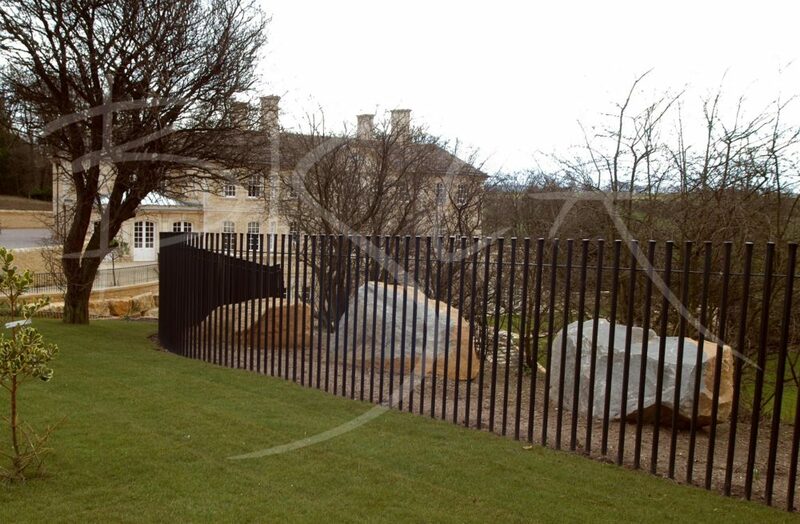 These external railings are forged, formed and blackened by in-house blacksmiths. 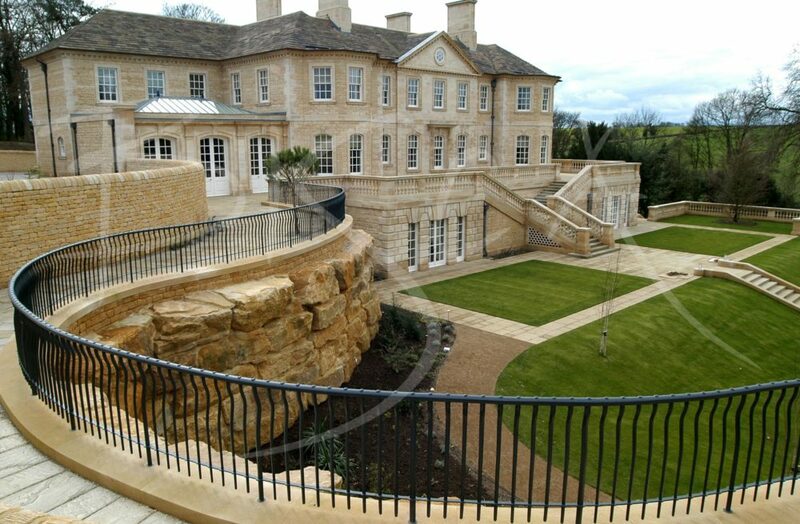 A stylish alternative to typical estate railings, our design adds another dimension to the grounds of a Yorkshire country house. 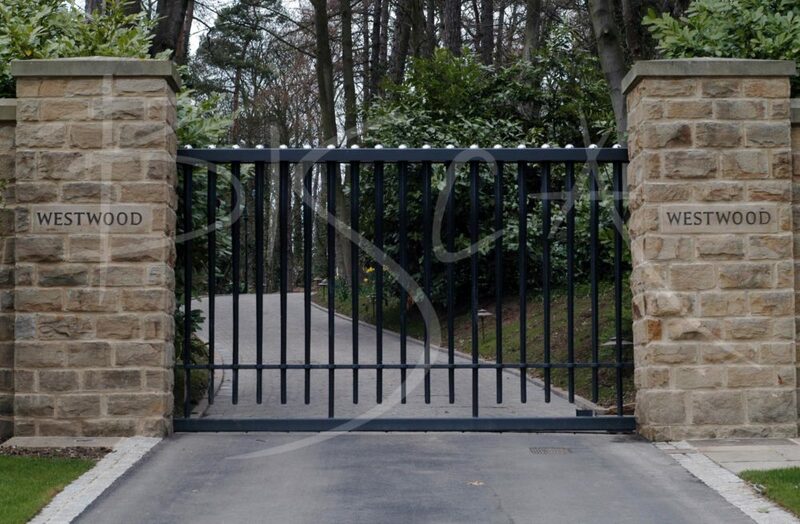 The commission includes a set of electronic entrance gates and several gates and doors for around the gardens. 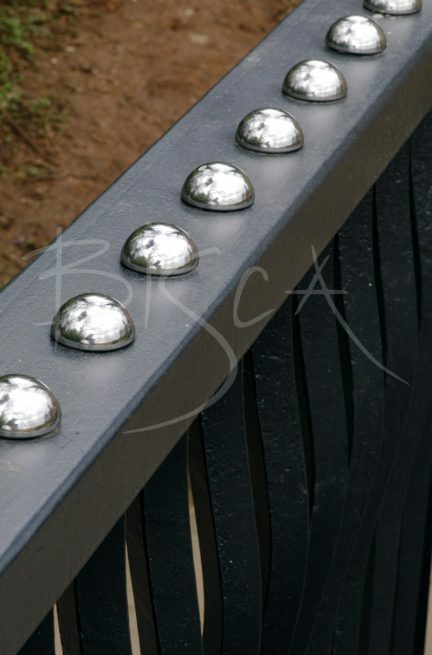 Bisca’s extensive in-house design and forging facilities allows us to design and make anything clients want. Our resident Yorkshire Dragon (forge), recently rebuilt to transition from oil to gas, is kept busy feeding 3 forge hammers. 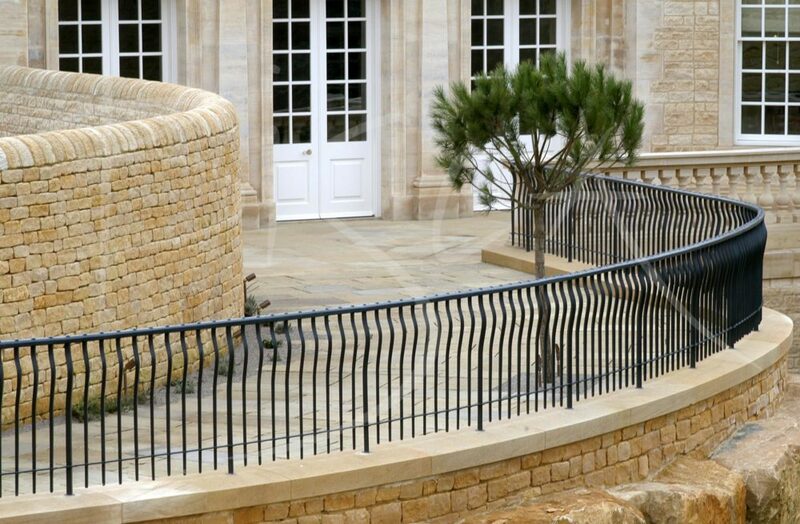 Depending on the scale/type of design, our blacksmiths work the heated steel using one or more of the hammers. This could be the heavy duty 500 cwt ex naval Massey hammer, a medium 300 cwt hammer or the “delicate” 100 cwt texturing hammer. 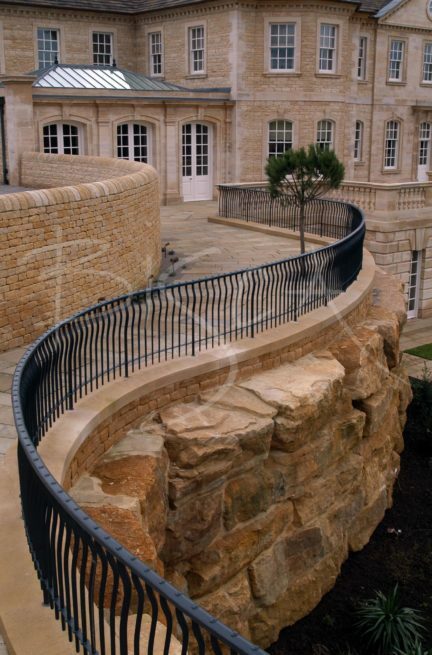 To get a guide price for your project based around these designs quote reference 1463.